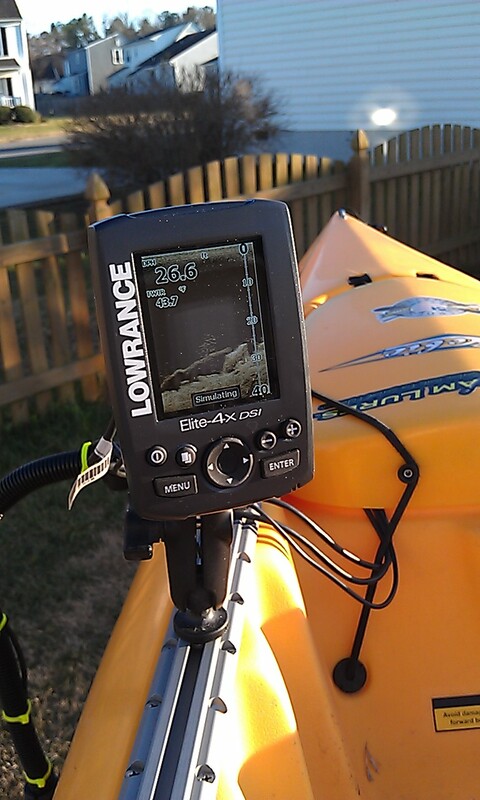 As many of you are aware, I had installed the Lowrance Scupper Kit awhile back and had also configured my power solution to utilize the rear hatch on my Revolution. 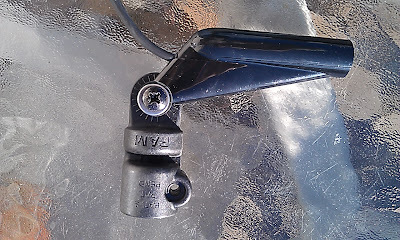 After some heavy usage over the course of four months in both fresh and salt water, my transducer bracket snapped into two pieces forcing me to contemplate my options. Option 1 - contact Lowrance and advise them of the issue. This approach would have more than likely resulted in a new bracket assembly sent as a replacement. While this option was viable, it realistically would have resulted in an identical end result. Option 2 - use a different mounting solution with a more sturdy design. After some thought and countless trips to the local home improvement store for parts and hand drawn designs, I ended up returning all of them and opting for a "ready-to-install" solution produced by RAM Mounts - so I ordered the RAM Transducer ARM Kit from HOOK1 and installed it today. 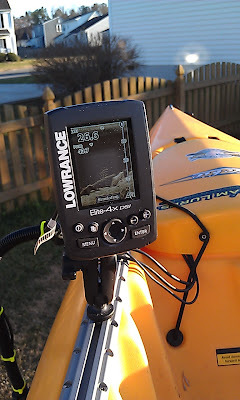 My new goal for this install was to have a setup that was completely removable to prevent corrosion of the connections over time and also to afford the chance to use the setup on another kayak (in the near future hopefully). When the kit arrives, the first thing you will notice is that there are no instructions; however, simply laying the few pieces out on the table will quickly reveal how they are pieced together. 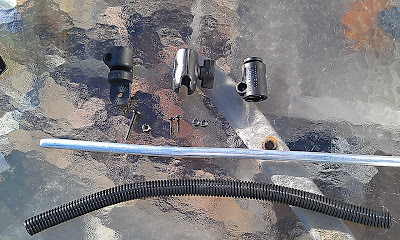 The installation kit includes: three phillips head bolts, three nylon insert lock nuts, a RAM connector (one RAM female end and one hexagon end), two end pieces (one for the transducer and one hex mount for RAM connector). Also included in the package is an aluminum rod and a black plastic protective cover. NOTE: I ordered my kit without any mounting base, because I already had an extra 1" Screwball. Your situation may differ and may require selecting a mounting option at the time of your order. 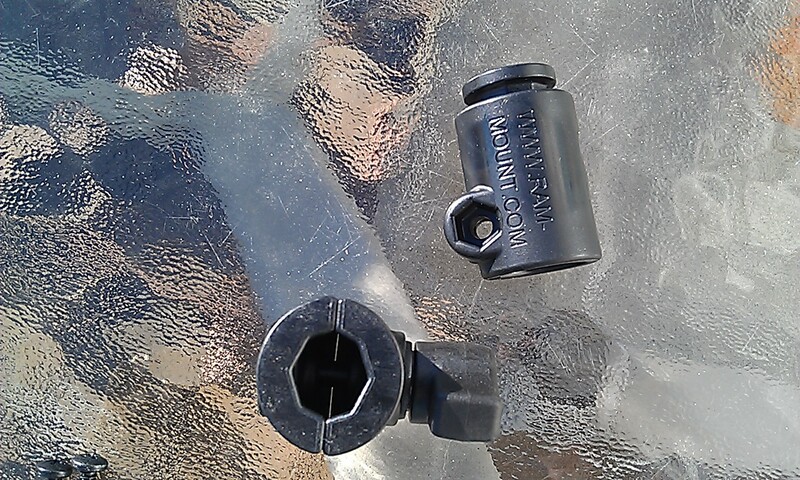 First, you take RAM connector and loosen the RAM wing nut completely in order to insert the end piece with the hexagon mount end. If you are using the screwball option, this is the perfect time to install it, otherwise, you will need to loosen the RAM connector again when it is time to install it on the kayak. Next, install your transducer onto the other end piece using the longest bolt and the larger locking nut and securing it with a #2 phillips screwdriver. In order to ensure the proper fit, you will need additional hardware (most likely from your existing transducer or from the installation kit in the new fish finder package) - namely a metal washer and the rubber spacer. 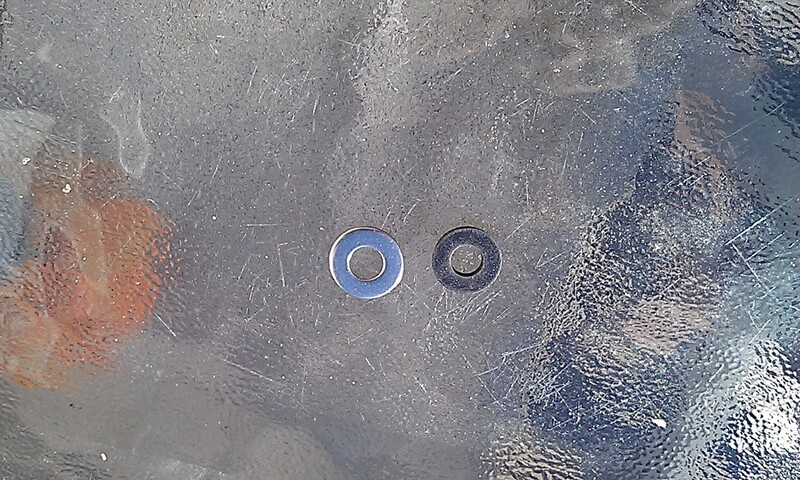 Place the rubber spacer closest to the head of the bolt, then the metal washer, then slide the bolt through the transducer mounting bracket opening. With the large lock nut inserted into the end mount, slide the whole assembly and transducer onto the end mount and secure it. If done properly, the final assembly should look like this. Now, insert the aluminum rod into the provided black plastic sleeve and insert one end of the rod into one end connector. Each connector has one end pre-cut with a hexagon opening to ensure the end mount is secured properly to the rod assembly. You will use one of the shorter threaded bolts and locking nut on each connector assembly. The end mount has a recessed area that houses the lock nut, so you will only need a #2 phillips head screwdriver to secure it. 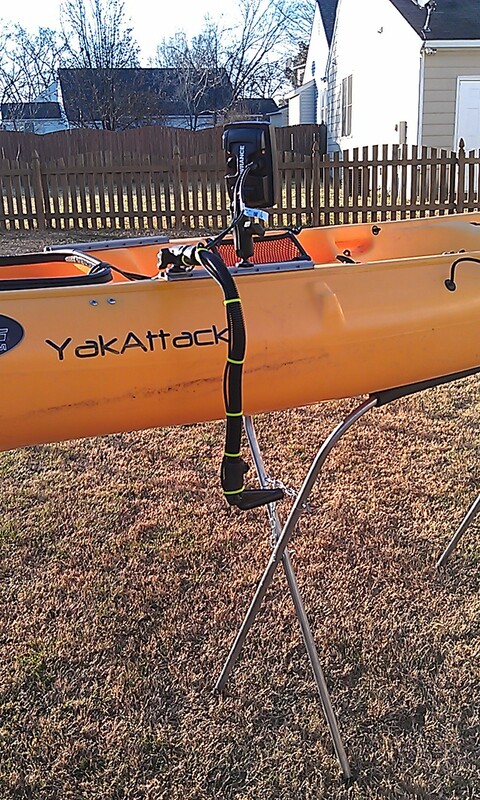 Now you can install the complete assembly onto your kayak. 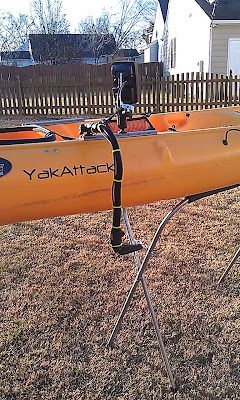 For me, I have the original YakAttack GearTracs installed, so I mounted mine on the port side in front of me. The last part of the install is deciding how you are going to route your transducer cable. For me, the goal was a completely removable install, so your routing of the cable may differ slightly. For most of you with existing fishfinders installed, your installation may be completed at this point. For me, I had decided to downsize my power source from the standard 12a/7-9ah or "deer feeder" style battery. I opted for a 5ah version - half the weight, half the size and a smaller profile battery storage container is needed. 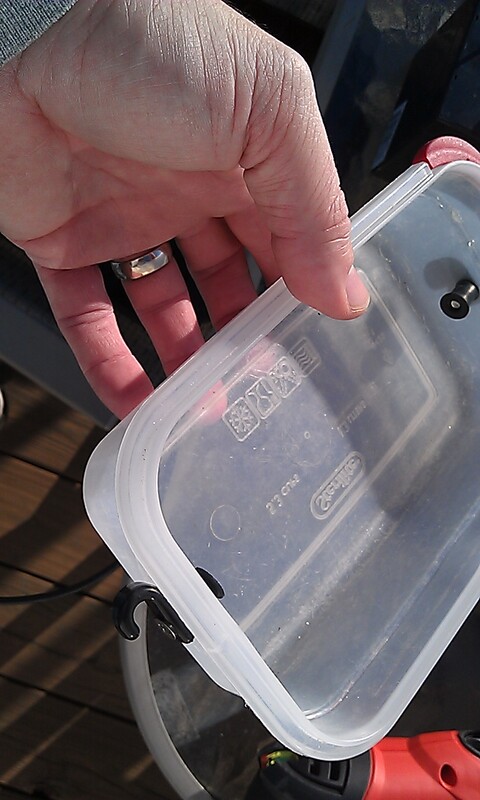 So, I used a watertight container I already had on hand, and I routed all electrical connections inside the container, such that only the one power lead was outside the container that led directly to my new depth finder. 1. 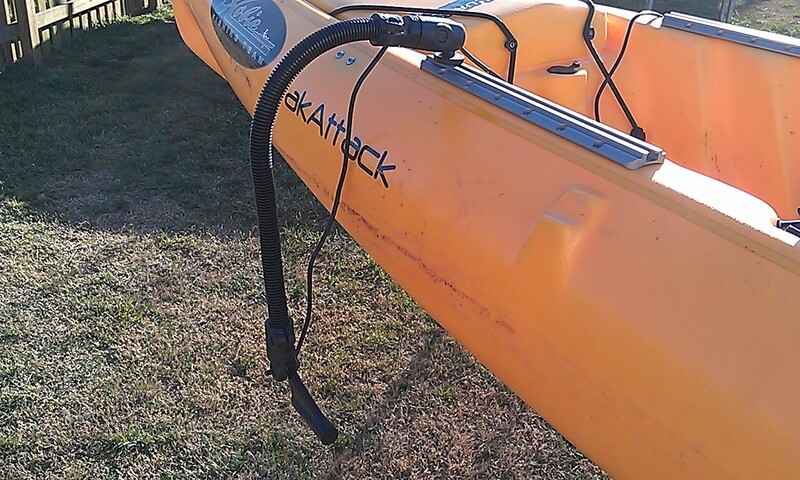 The install routed all cabling without drilling any openings in the kayak. 2. The cabling is secured by the front hatch lanyard to keep it out of my way while pedaling. 3. The extra cabling is held up using a series of zip ties to ensure the cables don't rest in water. 4. The battery box rests snugly in front of the mast post inside the front hatch. 5. I sold my Elite 5 DSI and replaced it with the new Elite-4x DSI for a smaller profile. After all was said and done, I secured everything and powered on the new electronics, and ......SUCCESS!!! Hope you found this installation how-to useful. Until next time, tight lines and safe passages!